Let Pak Mail Traverse City serve as your moving, storage, receiving and warehousing service. Our professionals will receive, inventory, and fulfill important product shipments or orders on a one-time or recurring basis. In addition, we will warehouse items for the short and long term and provide you with regular status reports. 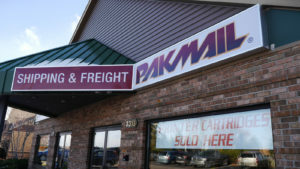 Pak Mail Traverse City?fulfills all your moving, storage and warehouse needs.